#DCUBEDANCESTUDIO DANCER DEEPAK KAPOOR ANUSHKA YADAV Song Credit - Song Credits: Singers: Neha Kakkar, Romi, Arun & Ikka Re-created: Tanishk Bagchi Lyrics: Shabbir Ahmed Video Director: Adil Shaikh Mixed & Mastered – Eric Pillai (Future Sound of Bombay ) Dop - Manish Bhatt Assistant choreographers - Paco, Lawrence Nadar (Mac), Alisha Adil Shaikh's business manager- Roman Sarkar. 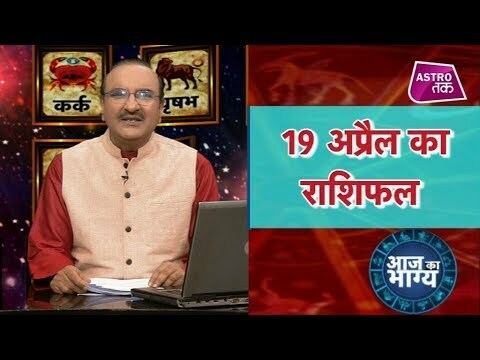 Executive producer- Shake entertainment Pvt Ltd / Vicky Sharma Editor - Nitin Fcp / Oswin Raverdo Line production - Shake entertainment Pvt Ltd. Original Song Credits: Music Director: Anu Malik Lyricist: Sameer Best bollywood Choreograpy Dance Choreography by Deepak kapoor from D cube studio & Performing No copyright infringement intended . No Commercial use intended . If you would like to arrange for a workshop in your city or for any events , performances and showcase . Get in touch with us !! +91-9695026026 Watchout for the Deepak Kapoor Tour PROJECTKARAM I'm also teaching regular batches for beginners , advanced and workshops too at dcubedancestudio alambagh #Lucknow Get in touch for details +91-9695026026 Follow me Deepak Kapoor for more . Insta : @ddeepakkapoor Bollywood Hip Hop Contemporary Salsa Bachata Popping Looking Housing B boing Gymnast All type events Wedding Sangeet Corporate Schools workshops etc. 9695026026 Bollywood dance Western dance Gymnastic Salsa Contemporary Etc. #DCUBEDANCESTUDIO DANCE BY ANUSHKA YADAV RISHU SHARMA DEEPAK KAPOOR CHOREOGRAPHY DEEPAK KAPOOR CAMRA- SHUBHAM SHARMA SONG CREDIT- ♪ Song: Husn Parcham ♪ Singer: Bhoomi Trivedi, Raja Kumari ♪ Movie: Zero ♪ Lyrics: Irshad Kamil ♪ Music: Ajay-Atul ♪ Music Label: T-Series ♪ Recorded: Vijay Dayal at YRF studios ♪ Additional Recording: Kittu Myakal at SoundIdeaz Studio ♪ Mixed & Mastered: Eric Pillai ♪ Music Composed, Arranged: Ajay-Atul ♪ Music Programmed: Ajay-Atul & Abhijit Vaghani Best bollywood Choreograpy Dance Choreography by Deepak kapoor from D cube studio & Performing No copyright infringement intended . No Commercial use intended . If you would like to arrange for a workshop in your city or for any events , performances and showcase . Get in touch with us !! +91-9695026026 Watchout for the Deepak Kapoor Tour PROJECTKARAM I'm also teaching regular batches for beginners , advanced and workshops too at dcubedancestudio alambagh Lucknow Get in touch for details +91-9695026026 Follow me Deepak Kapoor for more . Insta : @ddeepakkapoor Bollywood Hip Hop Contemporary Salsa Bachata Popping Looking Housing B boing Gymnast All type events Wedding Sangeet Corporate Schools workshops etc. 9695026026 Bollywood dance Western dance Gymnastic Salsa Contemporary Etc. #D_CUBE_DANCE_STUDIO DANCE BY DEEPAK KAPOOR ANUSHKA YADAV THANX RAJA SINGH SACHIN KUMAR JYOTSNA VARMA Mr. Shubham ji WATCH SHARE SUBSCRIBE Song Credit. Singer - Tony Kakkar Rap - Young Desi Music - Tony Kakkar Lyrics - Tony Kakkar Video Directed by Keoni Marcelo Original song link- https://www.youtube.com/watch?v=Mv67cU6IP2o FOR MORE VIDEO - SUBSCRIBE NEW CHANNEL RISHU & SACHIN LiNK _ https://www.youtube.com/channel/UCF8dOYN2ukokaVt5puEkaUg Best bollywood Choreograpy Dance Choreography by Deepak kapoor from D cube studio & Performing No copyright infringement intended . No Commercial use intended . If you would like to arrange for a workshop in your city or for any events , performances and showcase . Get in touch with us !! +91-9695026026 Watchout for the Deepak Kapoor Tour #PROJECTKARAM I'm also teaching regular batches for beginners , advanced and workshops too at #dcubedance#studio #alambagh #Lucknow Get in touch for details +91-9695026026 Follow me Deepak Kapoor for more . Insta : @ddeepakkapoor Bollywood Hip Hop Contemporary Salsa Bachata Popping Looking Housing B boing Gymnast All type events Wedding Sangeet Corporate Schools workshops etc. 9695026026 Bollywood dance Western dance Gymnastic Salsa Contemporary Etc. D CUBE DANCE STUDIO #LOVESTORY CONCETP BY DEEPAK KAPOOR SHOOT AND EDITING BY MR. RISHU SHARMA JI sponsored BY- #CABIO #CAB FOR BOOKING GO ANYWHERE http://www.cabio.in THANKU MR. PARVESH PANDAY AND HIS TEAM........... THANKU MERE BACHA LOG D CUBE DANCE FAMILY JYOTSANA RISHU & SACHIN SHUBHAM RAJA SHEELU APARNA ( BANGALI BAABU) NANDITA RAHUL ANUSHKA .... ORIGINAL SONG LINK - https://www.youtube.com/watch?v=JVmxQS8Sk-k SONG CREDIT_ Vocals, Music, Mixing - Siddharth Slathia Cast - Maera Mishra, Shavet Sambyal, Chirag Hassanandani, Siddharth Slathia D.O.P - Shlok Hassanandani Asst. D.O.P - Chirag Hassanandani Video Editing - Siddharth Slathia Original Song Credits: Song : Chhupana Bhi Nahin Aata Singer : Vinod Rathod Lyrics : Rani Malik Music : Anu Malik Director : Abbas - Mustan Producer : Ganesh Jain Star Cast : Shahrukh Khan, Kajol, Siddharth, Shilpa Shetty, Rakhi, Anant Mahadevan, Johny Lever, Charlee, Raju Shrivastav, Dilip Tahil & others Writer : Mansoor Khan Banner : United Seven Creations Record Label : Venus Best bollywood Choreograpy Dance Choreography by Deepak kapoor from D cube studio & Performing No copyright infringement intended . No Commercial use intended . If you would like to arrange for a workshop in your city or for any events , performances and showcase . Get in touch with us !! +91-9695026026 Watchout for the Deepak Kapoor Tour #PROJECTKARAM I'm also teaching regular batches for beginners , advanced and workshops too at #dcubedance#studio #alambagh #Lucknow Get in touch for details +91-9695026026 Follow me Deepak Kapoor for more . Insta : @ddeepakkapoor Bollywood Hip Hop Contemporary Salsa Bachata Popping Looking Housing B boing Gymnast All type events Wedding Sangeet Corporate Schools workshops etc. 9695026026 Bollywood dance Western dance Gymnastic Salsa Contemporary Etc. #DCUBEDANCESTUDIO AANKH MAREY RISHU SHARMA DEEPAK KAPOOR CAMRA- ANUSHKA YADAV SPCLE THANX - ANUSHKA YADAV Song Credit - Song -Aankh Marey Singers - Neha Kakkar, Mika Singh And Kumar Sanu. Music - Tanishk Bagchi Re-Created And Programmed: Tanishk Bagchi Lyrics - Shabbir Ahmed Additional Percussions: Krishna Kishor And Team Music Supervisor - Azeem Dayani Voice over and special thanks -Rajnigandha Shekhawat Songs Mixed And Mastered By Eric Pillai@Future Sound Of Bombay Mix Assistant Engineers - Michael Edwin Pillai Quirks – Azeem Dayani ♫ ORIGINAL SONG CREDITS ♫ Song : Aankh Maare O Ladka Aankh Maare Movie : Tere Mere Sapne Singer : Kumar Sanu, Kavita Krishnamurthy Lyricist : Anand Bakshi Music Director : Viju Shah Artist : Arshad Warsi, Chandrachur Singh, Priya Gill Music Label : T-Series Best bollywood Choreograpy Dance Choreography by Deepak kapoor from D cube studio & Performing No copyright infringement intended . No Commercial use intended . If you would like to arrange for a workshop in your city or for any events , performances and showcase . Get in touch with us !! +91-9695026026 Watchout for the Deepak Kapoor Tour PROJECTKARAM I'm also teaching regular batches for beginners , advanced and workshops too at dcubedancestudio alambagh Lucknow Get in touch for details +91-9695026026 Follow me Deepak Kapoor for more . Insta : @ddeepakkapoor Bollywood Hip Hop Contemporary Salsa Bachata Popping Looking Housing B boing Gymnast All type events Wedding Sangeet Corporate Schools workshops etc. 9695026026 Bollywood dance Western dance Gymnastic Salsa Contemporary Etc. #DCUBEDANCESTUDIO #7RINGS ORIGINAL SONG LINK- https://www.youtube.com/watch?v=QYh6mYIJG2Y ========================================== SONG CREDIT- 7 rings (Official Video). Song Available Here: https://arianagrande.lnk.to/7ringsYD Connect with Ariana: https://instagram.com/arianagrande https://twitter.com/arianagrande https://facebook.com/arianagrande http://www.arianagrande.com Video Director: Hannah Lux Davis Video Producer: Brandon Bonfiglio for London Alley Entertainment Inc Music video by Ariana Grande performing 7 rings. © 2019 Republic Records, a Division of UMG Recordings, Inc. Best bollywood Choreograpy Dance Choreography by Deepak kapoor from D cube studio & Performing No copyright infringement intended . No Commercial use intended . If you would like to arrange for a workshop in your city or for any events , performances and showcase . Get in touch with us !! +91-9695026026 Watchout for the Deepak Kapoor Tour #PROJECTKARAM I'm also teaching regular batches for beginners , advanced and workshops too at #dcubedance#studio #alambagh #Lucknow Get in touch for details +91-9695026026 Follow me Deepak Kapoor for more . Insta : @ddeepakkapoor Bollywood Hip Hop Contemporary Salsa Bachata Popping Looking Housing B boing Gymnast All type events Wedding Sangeet Corporate Schools workshops etc. 9695026026 Bollywood dance Western dance Gymnastic Salsa Contemporary Etc. 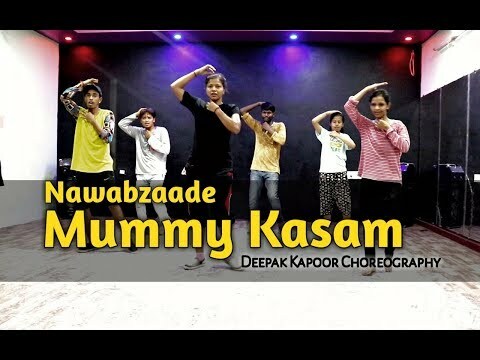 #DCUBEDANCESTUDIO #IKKA #BODYLANGUAGE ====================================== DANCE - DEEPAK KAPOOR ANUSHKA YADAV ============================= ORIGINAL SONG LINK - https://www.youtube.com/watch?v=mOktQjQBJTU ===================================================== SONG CREDIT - Song Name: Body Language Artist: IKKA feat.THEMXXNLIGHT Directed by DirectorGifty Choreographer: Amit Syal Composed by IKKA, THEMXXNLIGHT DOP: Vikcee Lyrics by IKKA, THEMXXNLIGHT Music Produced by The PropheC Mixed by The PropheC Mastered by Whitfield Mastering UK ===================================================================== b Bollywood Choreography Dance Choreography by Deepak kapoor from D cube studio & Performing No copyright infringement intended . No Commercial use intended . If you would like to arrange for a workshop in your city or for any events , performances and showcase . Get in touch with us !! +91-9695026026 Watchout for the Deepak Kapoor Tour #PROJECTKARAM I'm also teaching regular batches for beginners , advanced and workshops too at #dcubedance#studio #alambagh #Lucknow Get in touch for details +91-9695026026 Follow me Deepak Kapoor for more . Insta : @ddeepakkapoor Bollywood Etc. #DCUBEDANCESTUDIO #HOLISPECIAL #HOLISONG +============================================== MOM BLESSING LOVE YOU MAAAAAA ======================================== THANKU SO MUCH BACHO APLOGO NE BHOT JADA MEHNAT KI THANKU MY ALL LOVELY STUDENTS LOVE YOU SO MUCH AAP SB KO HOLI KI SHUBH KAMNAY =============================================-------------- THANKU - DEEPAK GUPTA (CAMERA MAN) THANKU _ ANTY JI AND THANKU SO MUCH MY ALL D CUBE FAMILY Instagram: https://www.instagram.com/ddeepakkapoor Facebook Page: https://www.facebook.com/dcubedancest... Facebook: https://www.facebook.com/dprincekapur ========================= SONG CRDIT- Movie - Milan Talkies Music - Rana Mazumder Lyricist - Amitabh Bhattacharya Singers - Mika Singh & Shreya Ghoshal Programmed & Arranged By Lyton, Chorus Voices - Anjan, Kailash, Rana,Saket & Victor Guitars - Shomu Seal Harmonium - Firoz Shah Percussions - Nikhil Koparde & Group Recorded, Mixed & Mastered By Rupjit Das At Studio Post House & Studio Playhead, Mumbai. Special Thanks To Neeraj Shridhar (Bombay Vikings) for Creative Inputs Cast - Ali Fazal, Shraddha Srinath, Ashutosh Rana, Sanjay Mishra, Reecha Sinha & Sikandar Kher Producer - P. S. Chhatwal In Association with Producer Om Prakash Bhatt (Purple Bull Entertainment) Co-Producer - A.I.S Bedi, Reecha Sinha Associate Producer - Ravi Singh DOP - Hari Vedantam Associate Director - Sachin Kaushik Written by Tigmanshu Dhulia, Kamal Pandey Editor - Praveen Angre Production Designer - Dhananjay Mondal Special thanks to Neeraj Shridhar (Bombay Vikings) for creative inputs Choreographer - Vijay Ganguly ======================================= ORIGINAL SONG LINK- https://www.youtube.com/watch?v=d4wbju0Bsv0 Best bollywood Choreograpy Dance Choreography by Deepak kapoor from D cube studio & Performing No copyright infringement intended . No Commercial use intended . If you would like to arrange for a workshop in your city or for any events , performances and showcase . Get in touch with us !! +91-9695026026 Watchout for the Deepak Kapoor Tour #PROJECTKARAM I'm also teaching regular batches for beginners , advanced and workshops too at #dcubedance#studio #alambagh #Lucknow Get in touch for details +91-9695026026 Follow me Deepak Kapoor for more . Insta : @ddeepakkapoor Bollywood Hip Hop Contemporary Salsa Bachata Popping Looking Housing B boing Gymnast All type events Wedding Sangeet Corporate Schools workshops etc. 9695026026 Bollywood dance Western dance Gymnastic Salsa Contemporary Etc. Best bollywood Choreograpy Dance Choreography by Deepak kapoor from D cube studio & Performing No copyright infringement intended . No Commercial use intended . If you would like to arrange for a workshop in your city or for any events , performances and showcase . Get in touch with us !! +91-9695026026 Watchout for the Deepak Kapoor Tour #PROJECTKARAM I'm also teaching regular batches for beginners , advanced and workshops too at #dcubedance#studio #alambagh #Lucknow Get in touch for details +91-9695026026 Follow me Deepak Kapoor for more . Insta : @ddeepakkapoor Bollywood Hip Hop Contemporary Salsa Bachata Popping Looking Housing B boing Gymnast All type events Wedding Sangeet Corporate Schools workshops etc. 9695026026 Bollywood dance Western dance Gymnastic Salsa Contemporary Etc. #DCUBEDANCESTUDIO DANCE BY ANUSHKA YADAV DEEPAK KAPOOR CAMRA - SHUBHAM SHARMA CHOREO BY DEEPAK KAPOOR EDTING - DEEPAK KAPOOR ORIGINAL SONG LINK- https://www.youtube.com/watch?v=VXVmtHcf2Dg&t=8s SONG CREDIT - ♪ Song - Daaru Wargi ♪ Singer - Guru Randhawa ♪ Music Composer - Guru Randhawa ♪ Lyrics - Guru Randhawa ♪ Programmed By Vee Music & Hrishikesh Gangan (White Noise Studios) ♪ Music Production Head - Romil Ved ♪ Songs Mixed & Mastered By Eric Pillai (Future Sound Of Bombay) ♪ Mix Assistant Engineer - Michael Edwin Pillai ♪ Directed By - Nitin Parmar (Equinox Films) ♪ Music Label: T-Series Best bollywood Choreograpy Dance Choreography by Deepak kapoor from D cube studio & Performing No copyright infringement intended . No Commercial use intended . If you would like to arrange for a workshop in your city or for any events , performances and showcase . Get in touch with us !! +91-9695026026 Watchout for the Deepak Kapoor Tour #PROJECTKARAM I'm also teaching regular batches for beginners , advanced and workshops too at #dcubedance#studio #alambagh #Lucknow Get in touch for details +91-9695026026 Follow me Deepak Kapoor for more . Insta : @ddeepakkapoor Bollywood Hip Hop Contemporary Salsa Bachata Popping Looking Housing B boing Gymnast All type events Wedding Sangeet Corporate Schools workshops etc. 9695026026 Bollywood dance Western dance Gymnastic Salsa Contemporary Etc. #DCUBEDANCESTUDIO #DEEPAKKAPOOR DANCER - RISHU SHARMA ANUSHKA YADAV DEEPAK KAPOOR CAMRA - RISHABH SHARMA CHOREO BY == DEEPAK KAPOOR Song Credit- Singer : Badshah Music & Lyrics : Badshah Programming : Aditya Dev Mix & Master : Aditya Dev Cast : Badshah & Warina Hussain Stylist : Divya Bawa ( Warina Hussain) Hair & Make Up - Marcello Juan Pedrozo ( Warina Hussain) Manager : Disha Raval ( TOABH Talent Management for Warina Hussain) Costumes / Wardrobe (Badshah) : Team Badshah & Nought One Hair - Javed Alam Make Up - Swapnil Haldankar Story & Direction : Arvindr Khaira Asst. Directors : Harman Buttar , Satnam , Gopi DOP : Sayed Tanveer Steadicam : Amaninder Syan Production : Bhatt production & Fateh Production Editor : Adele VFX: Shudhanshu Art Director : Pinki , Blacc Colorist : Nadeem Akhtar Choreographers : Sahaj & Shreoshi Still Photography : Hardik Gambhir Publicity Creatives & Designs : Karanjit Singh Music Label : Sony Music India Best bollywood Choreograpy Dance Choreography by Deepak kapoor from D cube studio & Performing No copyright infringement intended . No Commercial use intended . If you would like to arrange for a workshop in your city or for any events , performances and showcase . Get in touch with us !! +91-9695026026 Watchout for the Deepak Kapoor Tour #PROJECTKARAM I'm also teaching regular batches for beginners , advanced and workshops too at dcubedancestudio alambagh Lucknow Get in touch for details +91-9695026026 Follow me Deepak Kapoor for more . Insta : @ddeepakkapoor Bollywood Hip Hop Contemporary Salsa Bachata Popping Looking Housing B boing Gymnast All type events Wedding Sangeet Corporate Schools workshops etc. 9695026026 Bollywood dance Western dance Gymnastic Salsa Contemporary Etc. 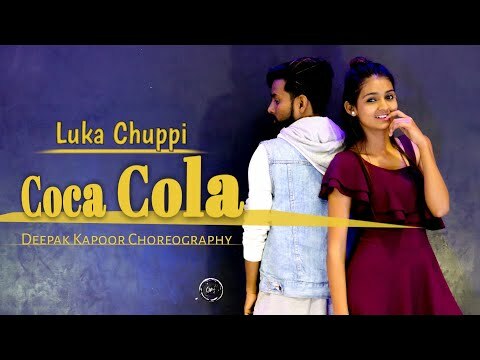 #DCUBEDANCESTUDIO #LUKACHUPPI #DEEPAKKAPOOR DANCE BY DEEPAK KAPOOR RISHU & SACHIN ANUHKA YADAV ORIGINAL SONG LINK - https://www.youtube.com/watch?v=TbkJ5HhFXdg SONG CREDIT- Song : Duniyaa Vocals : Akhil & Dhvani Bhanushali Additional Vocals : Bhrigu Parashar Lyrics : Kunaal Vermaa Music Composed & Produced By : Abhijit Vaghani Co-Produced By : Harshit Jain Mix And Mastered By : Aftab Khan (Headroom Studio) Mix Assistant : Vatsal Chevli Song Recorded At Tseries Recording Studio By Surajit Ghosh Majumdar ORIGINAL CREDITS Song - Khaab Singer – Akhil Music - Bob Lyrics - Raja Best bollywood Choreograpy Dance Choreography by Deepak kapoor from D cube studio & Performing No copyright infringement intended . No Commercial use intended . If you would like to arrange for a workshop in your city or for any events , performances and showcase . Get in touch with us !! +91-9695026026 Watchout for the Deepak Kapoor Tour #PROJECTKARAM I'm also teaching regular batches for beginners , advanced and workshops too at #dcubedance#studio #alambagh #Lucknow Get in touch for details +91-9695026026 Follow me Deepak Kapoor for more . Insta : @ddeepakkapoor Bollywood Hip Hop Contemporary Salsa Bachata Popping Looking Housing B boing Gymnast All type events Wedding Sangeet Corporate Schools workshops etc. 9695026026 Bollywood dance Western dance Gymnastic Salsa Contemporary Etc. 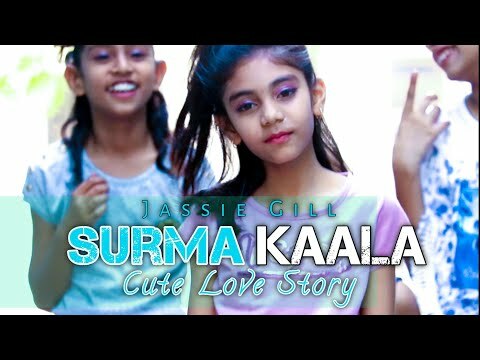 D CUBE DANCE STUDIO DEEPAK KAPOOR ANUSHKA YADAV CAMERA MAN- MR. SHUBHAM JI HOPE YOU LIKE IT SONG CREDIT - Song – Nikle Currant Singer – Jassi Gill, Neha Kakkar Music –Sukh-E Muzical Doctorz Lyrics – Jaani Video By - Arvindr Khaira Music Label - T-Series ORIGINAL LINK https://www.youtube.com/watch?v=uBaqgt5V0mU Best bollywood Choreograpy Dance Choreography by Deepak kapoor from D cube studio & Performing No copyright infringement intended . No Commercial use intended . If you would like to arrange for a workshop in your city or for any events , performances and showcase . Get in touch with us !! +91-9695026026 Watchout for the Deepak Kapoor Tour #PROJECTKARAM I'm also teaching regular batches for beginners , advanced and workshops too at #dcubedance#studio #alambagh #Lucknow Get in touch for details +91-9695026026 Follow me Deepak Kapoor for more . Insta : @ddeepakkapoor Bollywood Hip Hop Contemporary Salsa Bachata Popping Looking Housing B boing Gymnast All type events Wedding Sangeet Corporate Schools workshops etc. 9695026026 Bollywood dance Western dance Gymnastic Salsa Contemporary Etc. 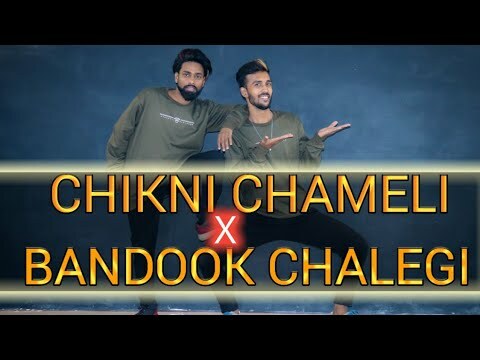 #DCUBEDANCESTUDIO #GALIGALI #DEEPAKKAPOOR DANCE- DEEPAK KAPOOR ANUSHKA YADAV SACHIN KUMAR CAMRA VISHAL KASHYAP THANKU FOR UR SUPPORT FRIENDS.. SONG CREDIT- ♪ Song Name - Gali Gali ♪ Singer - Neha Kakkar ♪ Music - Tanishk Bagchi ♪ Movie - KGF ♪ Re-Composed And Programmed - Tanishk Bagchi ♪ Lyrics- Rashmi Virag ♪ Original Lyrics - Anand Bakshi ♪ Song Mixed And Mastered - Eric Pillai @Future Sound Of Bombay ♪ Mix Assistant Engineers - Michael Edwin Pillai Originally Composed by Kalyanji Anandji Orginal Lyrics by Anand Bakshi Best bollywood Choreograpy Dance Choreography by Deepak kapoor from D cube studio & Performing No copyright infringement intended . No Commercial use intended . If you would like to arrange for a workshop in your city or for any events , performances and showcase . Get in touch with us !! +91-9695026026 Watchout for the Deepak Kapoor Tour #PROJECTKARAM I'm also teaching regular batches for beginners , advanced and workshops too at #dcubedance#studio #alambagh #Lucknow Get in touch for details +91-9695026026 Follow me Deepak Kapoor for more . Insta : @ddeepakkapoor Bollywood Hip Hop Contemporary Salsa Bachata Popping Looking Housing B boing Gymnast All type events Wedding Sangeet Corporate Schools workshops etc. 9695026026 Bollywood dance Western dance Gymnastic Salsa Contemporary Etc. #DCUBEDANCESTUDIO DANCE BY DEEPAK KAPOOR ANUSHKA YADAV CAMRA- RISHU SHARMA SACHIN KUAMR song credit - Desi Melodies Presents "COKA" Singer/Music: Sukh-e Muzical Doctorz Lyrics/Composer: Jaani Featuring: Alankrita Sahai Video Director: Arvindr Khaira ORIGINAL SONG LINK https://www.youtube.com/watch?v=7lWeQs8Firo Best bollywood Choreograpy Dance Choreography by Deepak kapoor from D cube studio & Performing No copyright infringement intended . No Commercial use intended . If you would like to arrange for a workshop in your city or for any events , performances and showcase . Get in touch with us !! +91-9695026026 Watchout for the Deepak Kapoor Tour #PROJECTKARAM I'm also teaching regular batches for beginners , advanced and workshops too at #dcubedance#studio #alambagh #Lucknow Get in touch for details +91-9695026026 Follow me Deepak Kapoor for more . Insta : @ddeepakkapoor Bollywood Hip Hop Contemporary Salsa Bachata Popping Looking Housing B boing Gymnast All type events Wedding Sangeet Corporate Schools workshops etc. 9695026026 Bollywood dance Western dance Gymnastic Salsa Contemporary Etc. #DEEPAKKAPOOR DANCER ANUSHKA YADAV DEEPAK KAPOOR EDITING - DEEPAK KAPOOR CHOREO- DEEPAK KAPOOR CAMRA- SHUBHAM SHARMA ALL CREDITS - Singer - Neha Kakkar Music - Tony Kakkar Lyrics - Tony Kakkar Song Programmed & Arranged by Lijo George & Aditya Dev Mix & Master - Aditya Dev Video VFX - Prathmesh Sampada Parab OnePlus Playback Credits:- JetSynthesys’ Music Boutique Team:- Presenter: Rajan Navani Curator: Shamir Tandon Project Head: Ria Shah Music Associate: Ahan Shah, Tushar Wader Operations Manager: Harsh Pandya Managerial Team: Akash Nambiar Content Head: Prakash Nair Best bollywood Choreograpy Dance Choreography by Deepak kapoor from D cube studio & Performing No copyright infringement intended . No Commercial use intended . If you would like to arrange for a workshop in your city or for any events , performances and showcase . Get in touch with us !! +91-9695026026 Watchout for the Deepak Kapoor TouR PROJECT KARAM I'm also teaching regular batches for beginners , advanced and workshops too at dcubedancestudio alambagh Lucknow Get in touch for details +91-9695026026 Follow me Deepak Kapoor for more . Insta : @ddeepakkapoor Bollywood Hip Hop Contemporary Salsa Bachata Popping Looking Housing B boing Gymnast All type events Wedding Sangeet Corporate Schools workshops etc. 9695026026 Bollywood dance Western dance Gymnastic Salsa Contemporary Etc. 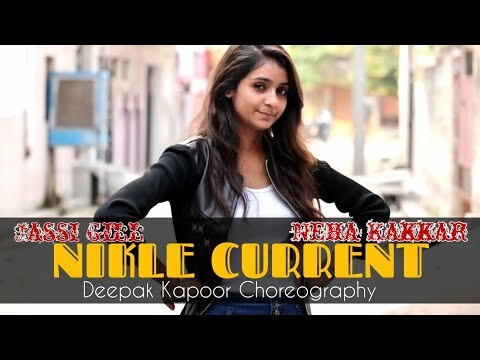 #DCUBEDANCESTUDIO #DEEPAKKAPOOR DANCE BY - DEEPAK KAPOOR ANUSHKA YADAV CAMERA YADAV JI SONG LINK https://www.youtube.com/watch?v=iD63CfkizWM SONG CREDIT - Song Video Director: Kookie Gulati Music Director: Gourov-Roshin Director of Photography: Keiko Nakahara Choreographer: Adil Shaikh Lyrics: Kunwar Juneja Rap lyrics: Gourov Dasgupta Singers- Jyotica Tangri, Shaan, and Subhro Ganguly Live guitars: Gourov Dasgupta Produced and Programmed by Roshin Balu Mixed and mastered by Aftab Khan @Headroom Studios Original Credits: Music Director: Rajesh Roshan Singer: Usha Mangeshkar Lyricist: Majrooh Sultanpuri Best bollywood Choreograpy Dance Choreography by Deepak kapoor from D cube studio & Performing No copyright infringement intended . No Commercial use intended . If you would like to arrange for a workshop in your city or for any events , performances and showcase . Get in touch with us !! +91-9695026026 Watchout for the Deepak Kapoor Tour #PROJECTKARAM I'm also teaching regular batches for beginners , advanced and workshops too at #dcubedance#studio #alambagh #Lucknow Get in touch for details +91-9695026026 Follow me Deepak Kapoor for more . Insta : @ddeepakkapoor Bollywood Hip Hop Contemporary Salsa Bachata Popping Looking Housing B boing Gymnast All type events Wedding Sangeet Corporate Schools workshops etc. 9695026026 Bollywood dance Western dance Gymnastic Salsa Contemporary Etc. #DCUBEDANCESTUDIO #Cocacola #Deepakkapoor Dance Deepak kapoor Anushkayadav Camra- Rishu sharma SONG CREDIT - Song - Coca Cola Singers - Tony Kakkar Neha Kakkar Lyrics - Tony Kakkar, Mellow D Rap by Young Desi Music - Tony Kakkar Music Recreated by - Tanishk Bagchi Mix & Mastered by Eric Pillai @ Future Sound of Bombay Assistant Mix Engineer - Michael Edwin Pillai Music Label - T-Series ORIGINAL SONG LINK - https://www.youtube.com/watch?v=_cPHiwPqbqo Best bollywood Choreograpy Dance Choreography by Deepak kapoor from D cube studio & Performing No copyright infringement intended . No Commercial use intended . If you would like to arrange for a workshop in your city or for any events , performances and showcase . Get in touch with us !! +91-9695026026 Watchout for the Deepak Kapoor Tour #PROJECTKARAM I'm also teaching regular batches for beginners , advanced and workshops too at #dcubedance#studio #alambagh #Lucknow Get in touch for details +91-9695026026 Follow me Deepak Kapoor for more . Insta : @ddeepakkapoor Bollywood Hip Hop Contemporary Salsa Bachata Popping Looking Housing B boing Gymnast All type events Wedding Sangeet Corporate Schools workshops etc. 9695026026 Bollywood dance Western dance Gymnastic Salsa Contemporary Etc. #DCUBEDANCESTUDIO DANCER HARSHITA , APARNA (BANGALI BAABU) , PRAKHANSHI , JYOTSNA , DEEPAK KAPOOR OR DHER SARE BACHE LOG CAMRA RAJA SINGH BEST DANCE VIDEO SONG CREDIT Song - Morni Banke Singers – Guru Randhawa & Neha Kakkar Music – Tanishk Bagchi Lyrics – MellowD Original Hook – Punjabi MC Programming – Tanishk Bagchi Mixed & Mastered by – Eric Pillai (Future Sound Of Bombay) Asst. Mix Engineer – Michael Edwin Pillai Music Label - T-Series .ORIGINAL SONG LINK https://www.youtube.com/watch?v=1EadhOBcfI0 Best bollywood Choreograpy Dance Choreography by Deepak kapoor from D cube studio & Performing No copyright infringement intended . No Commercial use intended . If you would like to arrange for a workshop in your city or for any events , performances and showcase . Get in touch with us !! +91-9695026026 Watchout for the Deepak Kapoor Tour #PROJECTKARAM I'm also teaching regular batches for beginners , advanced and workshops too at #dcubedance#studio #alambagh #Lucknow Get in touch for details +91-9695026026 Follow me Deepak Kapoor for more . Insta : @ddeepakkapoor Bollywood Hip Hop Contemporary Salsa Bachata Popping Looking Housing B boing Gymnast All type events Wedding Sangeet Corporate Schools workshops etc. 9695026026 Bollywood dance Western dance Gymnastic Salsa Contemporary Etc. 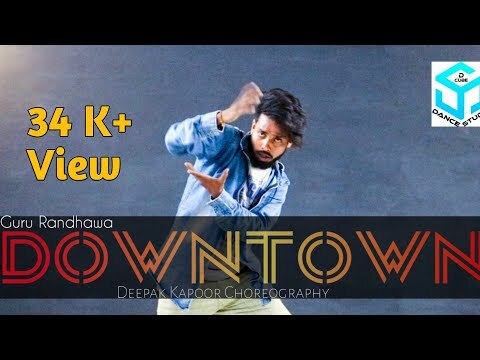 D CUBE DANCE STUDIO NEW VIDEO OUT NOW HOPE YOU LIKE IT THIS IS MY STYLE ..... ORIGENAL SONG LINK https://www.youtube.com/watch?v=klzyuLXNsGE SONG CREDIT Song: Downtown Singer: Guru Randhawa Lyrics: Guru Randhawa Composer: Guru Randhawa Music Produced By: Vee Video: DirectorGifty Editor: Chetan Parwana Choreographer: Amit Syal Asst Director: Harry DOP: Matt Flice Mix & Master: Cross Flow Recording (London) Music Label: T-Series Best bollywood Choreograpy Dance Choreography by Deepak kapoor from D cube studio & Performing No copyright infringement intended . No Commercial use intended . If you would like to arrange for a workshop in your city or for any events , performances and showcase . Get in touch with us !! +91-9695026026 Watchout for the Deepak Kapoor Tour #PROJECTKARAM I'm also teaching regular batches for beginners , advanced and workshops too at #dcubedance#studio #alambagh #Lucknow Get in touch for details +91-9695026026 Follow me Deepak Kapoor for more . Insta : @ddeepakkapoor Bollywood Hip Hop Contemporary Salsa Bachata Popping Looking Housing B boing Gymnast All type events Wedding Sangeet Corporate Schools workshops etc. 9695026026 Bollywood dance Western dance Gymnastic Salsa Contemporary Etc.